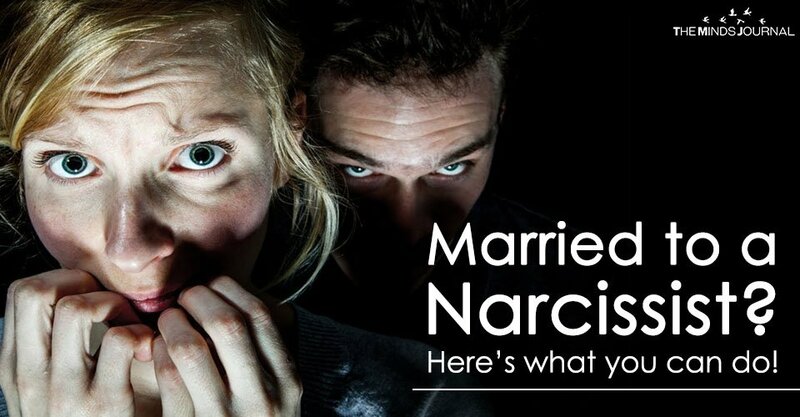 Married to a Narcissist? Here’s what you can do! (1) They lack empathy. It’s not possible for them to understand others’ problems. (2) They are extremely egoistic and proud of themselves. (3) They will expect their loved ones to do everything for their benefit but they will not reciprocate in return. (4) They are always seeking admiration from others. (5) They are jealous of others who are flourishing well. (6) Lying comes natural to them. (7) They are violent, often verbally and physically. They abuse their spouses and don’t even feel sorry for their actions. If your spouse displays at least some of these characteristics, then it’s definitely narcissism. (1) Fuel up their ego. Cajole with all the sugar-coated words to make them do things. Once their ego is well-fed, they will do what you want them to. (2) Always bring up the positive sides of your partner. Praise them for some good deed they have done. This will make them do these again. (3) Don’t ignore their complaints. Always listen no matter how repetitive they are. Just make them understand that you do understand their pain. (4) Always make them feel important. No matter how much you do something independently, just tell them how they are important to you and how their presence or pieces of advice have helped you. (5) Be romantic always. Bring a fun, adventure, and romance to the relationship and keep your narcissist partner engaged. (1) Create a support system in your family and friend-circle so that you can always fall back on them when you need someone to heart out your pain. (2) Don’t close all the doors no matter how difficult it seems to be. Always remain connected to the outside world. (3) Always maintain your self-esteem. One of the common harm a narcissist inflicts upon their partner is making them lose their self-worth. Don’t fall into the trap. No matter what your spouse says or does, remember that you are loved too, that you are an individual and you need to be valued. Talk to your support system. (4) No matter what happens, don’t give yourself up completely to your narcissist spouse. Giving up to your better-half is not love. Maintain your boundaries so that your narcissist spouse will not get the chance to take advantage. (5) Always keep a track of the abuses. Just remember that no form of abuse is good. If the abuses are increasing day by day, you need to rethink. Excessive possessiveness, isolating you from your family and friends, harsh criticism, extremely dominating nature, verbal and physical abuse is something which you must not tolerate at any length. If you have a narcissist spouse, take care and hang in there. No matter what, just remember that you are loved and you deserve to be happy too.